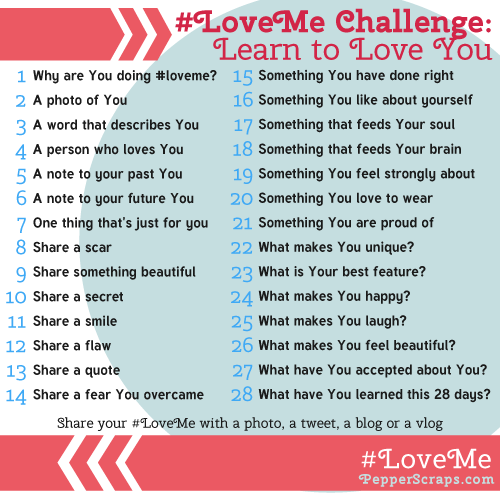 Being Frugal and Making It Work: February #LoveMe Challenge: Day 5! Have you ever wished you could go back in time and give yourself a friendly piece of advice? Maybe you would tell your teenage self to make a different choice or follow another path. Day 5 of the #LoveMe Challenge is to write a note to yourself in the past. Everyday there will be a prompt, you can share an instagram, a tweet, a blog or a video that was inspired by that prompt. Just make sure if when you share add the hashtag #LoveMe. If you could go back in time and give your past self one piece of advice, what would it be?